The Association of Accountants of the Republic of Latvia (AARL) as professional association of accountants was founded in 1994. Currently the association unites more than 400 participants, including certified accountants, accountants working in public practice, tax consultants, teaching staff of higher educational institutions, specialists in finance, as well as external and internal auditors. The association is an open association for all representatives of accounting profession, for whom quality of the provided services and prestige of the profession are important. Therefore, one of the main objectives of the association is to improve professional skills of accountants and carry out their certification that was initiated in 2000. The programs on certification were developed in accordance with the criteria of professional qualification of accountants, accepted in 1999 at the conference of United Nations, IAESB International Education Standards and also the provisions and principles of the International Federation of Accountants. The Association of Accountants of the Republic of Latvia was admitted to the International Federation of Accountants (IFAC) as an associate member during the IFAC Council Meeting in Soul, South Korea in November 2013 with the unanimous voting. IFAC is comprised of over 175 members and associates in 130 countries and jurisdictions, representing approximately 2.5 million accountants in public practice, education, government service, industry, and commerce. Thus, the International Federation of Accountants has confirmed the importance and role of the Association of Accountants of the Republic of Latvia in the development of national accounting and compliance with the international Statements of Membership Obligations (SMOs) developed by IFAC, including certification of professional accountants carried out by AARL. Entry of AARL to IFAC provides a stable platform for further development of the AARL, participation of AARL’s members in the development of professional standards, as well as ample opportunity to learn from international experiences in the field of accounting and reporting in the work of certified professional accountants of the AARL. The Association of Accountants of the Republic of Latvia was admitted to the Federation of European Accountants (Fédération des Experts-comptables Européens – Federation of European Accountants, FEE) as an associate member during the FEE Members’ Assembly in Brussels, Belgium on December 16, 2015 with the unanimous voting. FEE is an international organization located in Brussels that represents 50 institutes of professional accountants and auditors from 37 European countries, including all of the 28 EU Member States. The association is also a member of the European Accounting Association (EAA), International Association for Accounting Education and Research (IAAER) and European Institute for Advanced Studies in Management (EIASM). During 20 years of its activity, the association received popularity not only in Latvia, but also internationally. The association has a base of long-term cooperation with other institutions and organizations in Latvia, among which are higher schools and universities, the Ministry of Finance, the State Revenue Service, the Latvian Association of Certified Auditors (full member of FEE and IFAC), the Association of Tax Consultants. Close collaboration was formed with the associations of accountants in Lithuania and Estonia, including on certification issues. cooperation with professional associations of accountants from other states on professional issues. The representatives of association are invited to participate in the workshops, formed by the Ministry of Finance, as the experts to address issues that are important in the state. 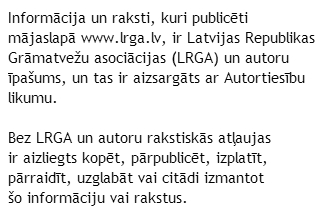 As an example of last such assignment it is possible to name participation in the development of the “micro-enterprise” concept, as well as “Annual Accounts Law” of the Republic of Latvia. The higher and professional educational institutions regularly address the association with the requests to assess the content of their professional educational programs for the needs of accreditation. Experts of association have also participated in the development of professional standard “Accountant”. Therefore, the association is recognized both by legal decree and by general consensus as being a substantial national professional organization in good standing in the Republic of Latvia. The association in its activity also recognizes that the development of accounting profession and improvement of accounting skills are impossible without serious scientific research. The association is proud that its members have made a substantial contribution, conducting researches and defending doctoral works on such issues as theory and practice of accounting standards, history of the development and improvement of accounting, development of methods of the financial analysis and regulatory framework governing the conduct of independent audit in Latvia. As significant events of the last years it is also necessary to mention international activity of the association, for example, participation in the development of accounting standards for small and medium enterprises in the workshop, organized by the European Commission in Brussels, participation in the work of UN UNCTAD ISAR in Geneva, participation in the congresses, organized by the European Accounting Association, as well as international scientific conferences in the European countries. Participants of the association have repeatedly acted on international conferences and forums with abstracts about development of the accounting and financial reporting, system of public oversight of auditing activities, improvement of professional ethics of accountants and auditors, experience in certification of accountants. At the present moment the certificate of professional accountant of AARL was received by more than 400 accountants, and the process of certification proceeds – every year educating is passed by accountants, who wish to improve their knowledge in accordance with modern requirements and confirm the professional competence, having received the certificate. Professional accountant’s certificate is issued for five years. In order to receive the certificate repeatedly, recertification is required. A professional certified accountant should to maintain a level of professional qualification in accordance with the AARL Recertification Regulation.